If you have been paying attention to SEO trends then you already know that there’s a big emphasis on speed right now. Strong websites that have fast page loading speeds are doing better in search engine searches than equally good websites that are just a little bit slower. If you want your own website to remain at the top of search results then you need to make sure that you’ve taken the steps necessary to speed it up. In the spring of 2010, Google announced that they were making yet more changes to their search ranking algorithms. One of the major factors that they decided to incorporate into those changes was speed. They noted that faster page loading times make users happier and therefore have become an important part of the value of a site. Page Speed – This is a Firefox add-on evaluating web page performance. WebPageTest – Use this site to do an analytical review and then see a virtual comparison of site speed. YSlow – This is a Yahoo! Tool for checking website speeds. Google also recommends a number of other tools for speeding up both sites and apps. These can be found on their “Let’s make the web faster” page. 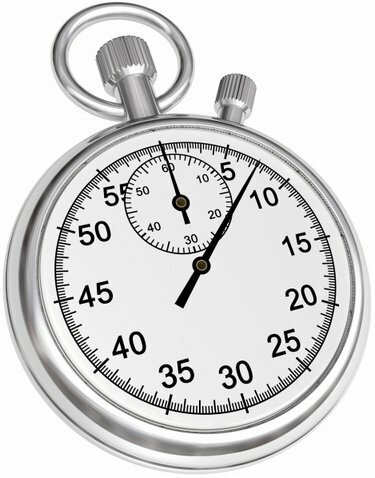 Page load speed basically refers to the amount of time that it takes your website to respond to requests made of it. Here are some things that you can do to improve your speed (and therefore improve your search engine rankings). Get better web hosting. The web host that you use greatly impacts your page loading time. Make sure that you’re working with a host that has the ability to provide you with quick speeds. In some cases it makes sense to work with a host that is close to the people most likely to be on your site. For example, if your major customer base is located in the United States then look at U.S. web hosts offering high speeds. Check for broken paths and images. This is a major problem that slows down many sites. There are tools available, such as Pingdom, that can help you correct this problem and easily speed up your site’s loading times. Optimize cookies. Just like you need to clear the cookies from your own computer, you want to clean up the cookies from your website to reduce page loading times for customers. Learn more. Review your widgets. Many websites have a large number of widgets on their sites. These can be very useful but at the same time they can really slow down your page loading times. Review what you’ve chosen to add to your site and pare it down to what really benefits the site. You should certainly improve your page load time for the purpose of improving SEO. However, it is also important to note that this will result in the major benefit of making all of your site’s visitors happy. Regardless of the amount of new traffic you gain from making the change, you should see an improvement on your site in terms of the length of time customers spend on the site and the number of different areas of the site that they check out.